Do your kids have an interest in technology, building robots, coding, creating video games, building websites, photography, digital video, or making amazing Minecraft worlds? Then they will love the summer programs from Fleming Tech Camps at Germantown Friends School. To achieve our mission, Fleming Tech Camps partner with schools, museums, universities and summer camps to help those organizations offer state-of-the-art technology programs. This summer, Germantown Friends School will partner with Fleming Tech Camps to host six of our amazing summer camp programs. Each session of our technology camps feature a unique, and specialized, technology topic which is lead by an instructor with an expertise in technology and teaching. During camp, the instructor guides campers through an incredibly fun (and educational) journey where campers are learning, discovering, creating and playing with cutting edge tech! Parents can enroll their campers in up to four weeks of Tech Camp at Germantown Friends School. For families looking for multiple weeks of summer camp programming Germantown Friends School can offer your family amazing flexibility. You can enroll your child into one, or more, weeks of Fleming Tech Camps and also enroll them into a wide range of other camping programs, including Germantown Friends School‘s traditional day camps. Summer camp programs atGermantown Friends School run from 9AM to 3:30PM. However, Germantown Friends School also offers AM and PM extended day options for parents that need addition flexibility. In the summer of 2019, Germantown Friends School and Fleming Tech Camps will will offer four weeks of programs, with two technology programs each week. Throughout the summer, we will offer technology camps for two groups: rising 3rd through 6th graders and rising 6th through 9th graders. Dream it. Design it. Create it! This camp will introduce you to the basics of 3D design and architecture, with a focus on designing 3D buildings and objects. Discover cutting-edge technology, as you learn and navigate 3D design software. Then, work together as a team of innovators to engineer cool three-dimensional cityscapes and other objects, devices, or gadgets. When not creating 3D worlds, explore city planning and development with Sim City. No prior experience is necessary! All skill levels are welcome. If you like 3D-based video games then this camp is for you! Portal 2 is a first-person, puzzle-platform style video game that challenges you to use your wits to solve complex problems. At camp you will use 3D game engine software and Portal 2 to create an adventure that features intricate labyrinths, puzzles and traps. All skill levels are welcome. Have you ever wondered what it takes to be a YouTuber or Twitch video producer? Learn the ins-and-outs of producing video content that is appropriate for showcasing on YouTube and Twitch. Create videos such as Let’s Play, package openings, pop culture reviews and interviews. Learn how to shoot and capture video, as well as write editorial copy and edit your work. Amusement Parks are filled with lots of heart pounding fun, as well as multiple opportunities to learn about science and engineering. In this exciting camp, learn about the physics of roller coasters while exploring kinetic and potential energy, and centripetal force. At camp you’ll build and test, physical and “virtual” roller coaster models. 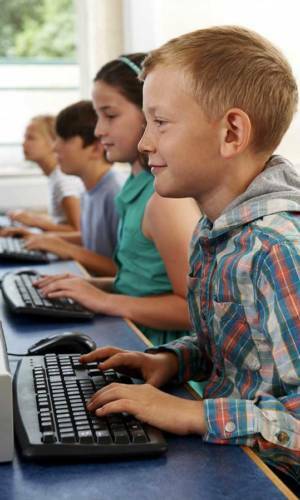 Using various computer programs, including Minecraft, you will create virtual roller coasters, build scale models with K’NEX and experience the thrill of the turns, loops and drops! The camp day is divided into 3 periods. Two thirds of the day is spent working on science and engineering of roller coasters and approximately one third of the day is dedicated to working with Minecraft. No prior experience is necessary! All skill levels are welcome.